Experience, costs, and creativity are things you should consider before hiring a video production company. Contact IndieWhip to discuss your project. A video is a powerful medium in getting your message across your target audience. If executed correctly, video marketing can raise awareness of your brand and the products or services you offer. If you are looking for a reliable video production company, turn to IndieWhip. Our team has made creative videos for different known brands. As a video production company, we have worked with some renowned technology providers, couriers, health care companies, toymakers, financial firms, and more. We collaborate with our clients to produce content tailored to their needs. We don’t just make quality videos but also value long-term client relationships. Take time to see the portfolio of a video production company before you get their services. Videos or short commercials they have produced are usually available on the company’s website, Facebook page, or other video-sharing platform. Check out their latest works to determine whether you are hiring the right video production company for your project. In choosing a video production company, do not get carried away with the demo reel and the special effects they have on their website. Instead, ask the video production company if they have created similar videos in the past. 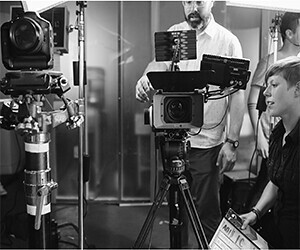 Note that video production company may excel in different areas, such as training videos, sales videos, commercials, short movies, or training materials. Select the company that is close to the industry your business is in. Your first meeting with a video production company will be crucial for your project. Were they listening intently while you were talking about your company and what you want for the video? A video production company should understand how your business works. Observe how much the company is willing to learn about your business and the products or services that you offer. The creative team from a video production company must show interest in what your business does so they can come up with the best content. Remember that video production is a long process. That is why it is important for you to hire a team you are comfortable to work with. Move on to the next company if you don’t feel at ease. Click here for more tips on hiring a great video production company: https://www.entrepreneur.com/article/243236. Producing a well-done video or film is not a one-man show. An excellent promotional video is made with a collaborative effort between you and your chosen video production company. The creative team from a video production company needs to work closely with you so you can produce a material that clearly conveys the message intended for your target audience. A dependable video production company can help you tell your brand story and highlight the unique qualities of your products or services. The cost of producing a video or film may vary from one project to another. Ask the video production company if they can provide you with a quote for your project. Check their rates as well as their previous projects to see whether you are getting value for your money. Sometimes, it’s tempting to go for the lowest bidder when it comes to a video production company. Never sacrifice the quality just to save money. A poorly executed marketing video may leave a bad impression on your potential customers. You might end up spending more time and money in finding another video production company. Are you looking for a reputable video production company? Trust only IndieWhip. Get in touch with us for more information about our services as a video production company. In today’s fast-growing global marketplace, effective brand marketing is necessary for businesses to succeed. One of the best ways to attract and engage your target audience is through promotional video. A high-quality, well-produced video, whether it’s a short film or an infomercial, can get potential customers interested in your products or services. Give your brand the marketing push it deserves through IndieWhip. IndieWhip creates engrossing video content that will not only help you increase brand awareness but also let you connect with your audience on a personal level. Our team has both the technical ability and the creative drive needed to develop motion pictures that stand out from the crowd. See for yourself as you scroll through our portfolio. It’s no secret that creating a successful video project can take time, patience, and a lot of work. If you want to jump-start your video marketing campaign but don’t know how, reach out to IndieWhip. At our video production company, we collaborate with clients to produce content that fits their specific needs. We love what we do, and we are passionate about helping our client tell their story. Through hard work, focus, and precision, we’ve sculpted a system that lets us develop unique video content that speaks directly to your target audience. Unlike in traditional business dealings, we make it a point to foster deep relationships with our clients. This helps us tailor the video content to your particular brand marketing goals. Let us get to know you, how you work, and what you want to say. When you allow us to understand your objectives, we can use the magic of motion picture to bring your vision to life. To break up the monotony found in typical videos, we engage the audience through subtle camera movements, clever editing, and precise audio engineering. If you let us create your project, we can help you connect with your target market and gain their trust and loyalty. Using video for your business is a great way to showcase what you have to offer and reach your target market. With help from the professionals at IndieWhip, you can use motion pictures to pique customer interest in your brand and get ahead of the marketing game. Interested in working with our creative team? You can reach us by calling 508-469-0148, emailing info@indiewhip.com, or sending us a message through our online form. Partner with us, and we’ll help you bring a human touch to your marketing campaign.